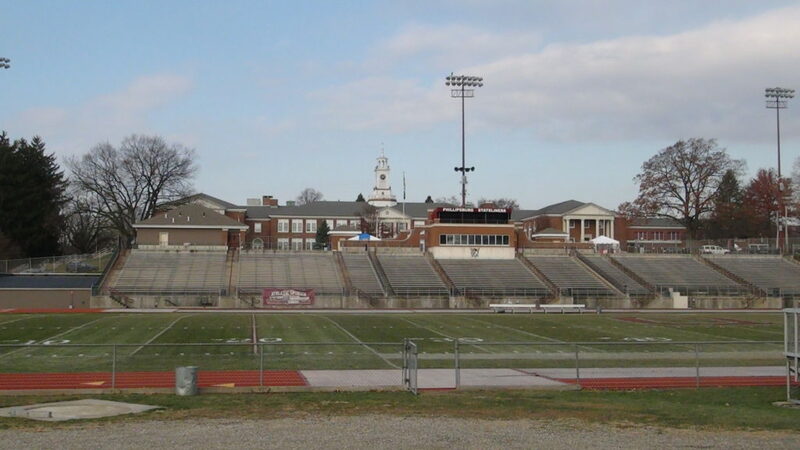 Smith Field at Wilson High School in Easton, Pennsylvania. I graduated from Wilson High School in 1978 and I’m very proud to promote the Blue and Gold of the Warriors. For those of you that don’t know, Wilson is named after Woodrow Wilson, the 28th President of the United States. I stopped by Smith Field that sits in the shadows of the former Dixie Cup plant. 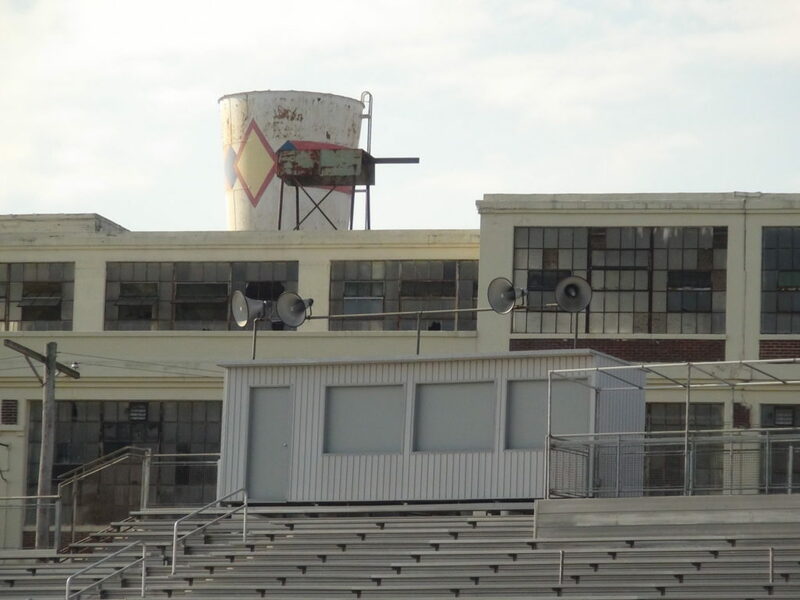 While the factory has been closed for decades, I still enjoy the memory of watching games from the home grandstands with Dixie Cup workers, who were on their breaks, watching the game above us from the roof of the factory. Still located on the roof of the vacant building is THE Dixie Cup. The Warriors weren’t great during my time in high school, which, BTW, was 7th through 12th grade. However, I got to celebrate from Chicago during 2006 when “we” beat future NFL quarterback Terrelle Pryor and Jeannette for the AA state title, the school’s only state football championship. The state championship closed out a perfect 16-0 season. My favorite part of Smith Field is – NO lights. Yes, the Warriors play in the sunshine of Saturdays and I love that! 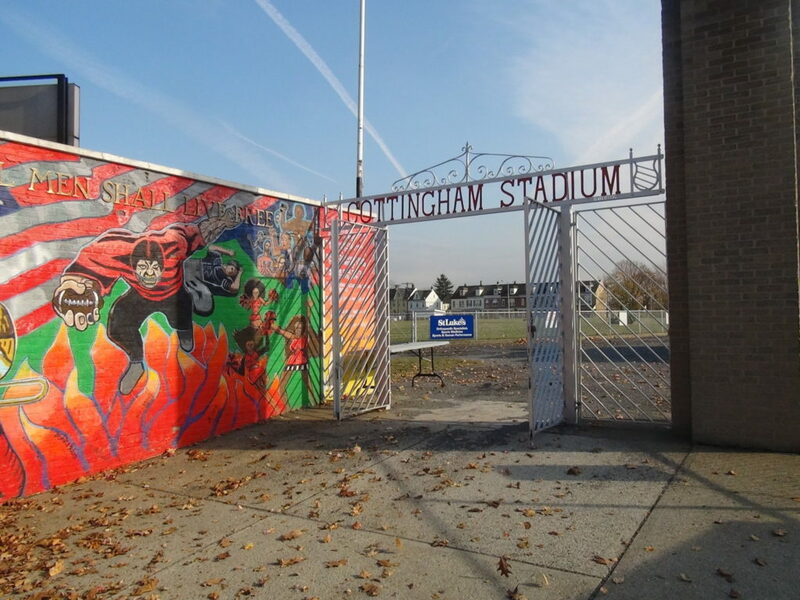 Entrance to Easton’s Cottingham Stadium in Easton, Pennsylvania. Before heading to the alma mater, I stopped by Easton High‘s Cottingham Stadium – my favorite high school football stadium in America. Built in the mid-1920’s, Cottingham was the scene of my first game as a journalist while working at WEST-AM 1400. The all-concrete stands are from a by-gone era. As far as football is concerned, Easton is one of the best, amassing over 800 all-time victories. The Red Rovers are second on Pennsylvania’s all-time wins list. Speaking of all-time wins list, I stopped at Phillipsburg High School in New Jersey before heading to Easton. 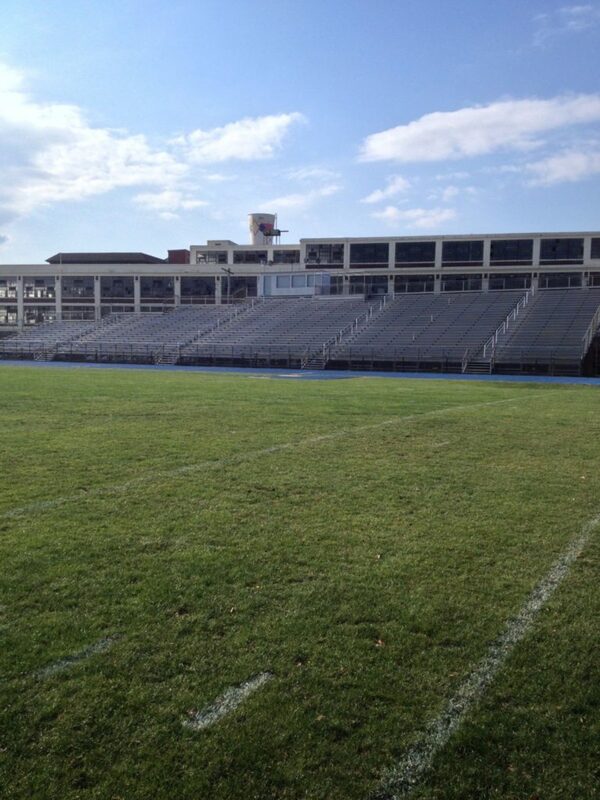 P’burg, which plays at Maloney Stadium, is New Jersey’s all-time leader in victories. Easton and Phillipsburg play every Thanksgiving at Lafayette College’s Fisher Field (no relation to me). Next week, the two will meet for the 108th time. The game annually draws 15,000 fans.